Smart Wealth Series – Growing Your Wealth Securely & Top Cancer Threats in Singapore. A combined presentation and forum with Prudential Assurance Company Singapore. Together with Mr Benny Tay, a Senior Financial Services Director with the Prudential Assurance Company Singapore (Pte) Ltd, our Medical Director Dr Foo Chek Siang shared in the Smart Wealth Series, which is a monthly financial and health forum aimed at informing insurance clients to make better choices on managing personal finances and health. In this forum, conducted at the Conference Rooms of Mount Elizabeth Novena Hospital, Mr Tay gave valuable advice on how to grow wealth securely prudently, to beat inflationary risks and pressures. In turn, Dr Foo shared with the audience, the crucial role cancer screening plays in health investment. 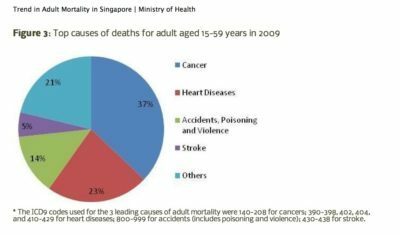 Cancer has been shown to be responsible for 37% of all deaths in adults aged 15-59 years in 2009, according to Ministry of Health Singapore. Hence, it makes financial sense that all measures are taken to prevent cancer in this economically viable group. There was a lively Q&A session right after the talk, and members of the audience were also treated to a tour of the facilities of the Mount Elizabeth Novena Hospital. To find out more on how you can make better decisions on your financial and investment health, please call Ms Wee Kim Lee at 98277820 or Ms Tan Yanwan at 97535008. To find out more on how you can take steps to secure your gastrointestinal health and screen for cancer, please contact Clinic for Digestive Surgery at +65 6570 2702 to speak to our SSN Karen, our Clinic Nurse. Alternatively, you could drop us an email at doctor@clinicfordigestivesurgery.com, or fill up the enquiry form at http://clinicfordigestivesurgery.com/contact and we will attend to your needs at the soonest opportunity.